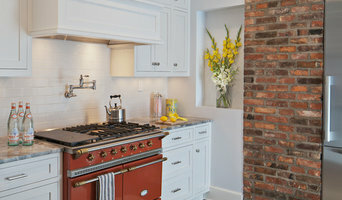 Karma Home Designs based in Washington DC, is a boutique Dream and Build Construction Firm. Our customers always come first and our work is never complete until your satisfaction is achieved. We strive to create and foster that "good karma" feeling with our clients and by giving back to organizations that are important to our community. Our goal is to provide the best remodeling products at an affordable price. We keep our offices modest in size and do not lease "showrooms", we believe that it is more cost effective and personal to bring our showroom to you. We do not spend a massive amount of money on marketing. We use grassroots approach and employ local students and people to canvass for us. We work by referral, because a happy customer is a customer for life. Working off of referrals ensures that we will work hard on every job as our success depends on you giving us a good reference. Our second major goals is to give back to the local community and to specific charities that have an impact on people's lives. We strive to be a different kind of company. Not one that is just worried about the bottom line but but one that is rooted in the community and places an emphasis on customer service and satisfaction. 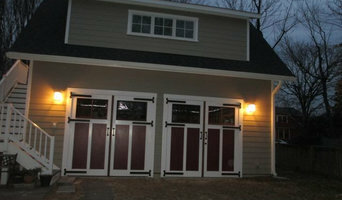 Karma Home Designs provides turn key construction services from start to finish. We let you be as involved as you want and/or will do everything you need! We do anything and can customize any need or project. · Whole Home Renovations · Additions · Kitchen Design & Remodeling · Bath Design & Remodeling · Roofing Repair and Restoration · Storm Damage and Insurance Work · Siding and Exterior Restorations · Custom Basements · Windows & Doors · New Decks and Deck Restoration · Handyman Services Whether your project is a small remodel or a custom home you will receive the same high level of service that we are known for. General, or construction contractors, are often known as project managers. They oversee the entire remodeling or new home construction project and facilitate all day-to-day tasks that move it toward completion. A Silver Hill general building contractor will work with your architect to review plan as you build a house and ensure everything is in place before work is started as well as arrange for permits and necessary inspections. While good local home improvement contractors in Silver Hill will have the skills to handle certain tasks onsite, such as carpentry, he or she is also responsible for hiring subcontractors for the majority of jobs, such as electrical work, painting or plumbing. In addition, the general contractor should be on-site regularly to inspect the progress and resolve issues. Here are some related professionals and vendors to complement the work of general contractors: Architects & Building Designers, Interior Designers & Decorators, Landscape Architects & Landscape Designers, Kitchen & Bath Designers, Specialty Contractors. Home remodeling contractors are a must for successful completion of a renovation. Because of this, it's essential that you do your homework before deciding on the right general contractor in Silver Hill as you remodel or build a house. Inspect bids carefully. Was it ready when the contractor promised it? Was the bid for building a home unusually high or low? Each of these things can be very telling: A late bid may reflect timing standards, and an off-the-mark bid could be code for a pricey premium or a deliberate underbid to score the remodeling job. You should call references, carefully read reviews and visit completed projects in Silver Hill, MD to see if they’re what you expect for your job. Once you do secure your local Silver Hill contractors, read the contract very carefully to be sure everyone is on the same page. Find a Silver Hill contractor on Houzz. Narrow your search in the Professionals section of the website to Silver Hill, MD home contractors. You can also search for photos in Silver Hill, MD and contact the Silver Hill general contractor who worked on the project.